Robots inspired by the animal kingdom are already being designed to mimic plenty of creatures, from speedy cheetahs to slithering serpents. Now, researchers are welcoming yet another bio-inspired robot to join the menagerie: a 'bot built to emulate the movements of baby sea turtles. 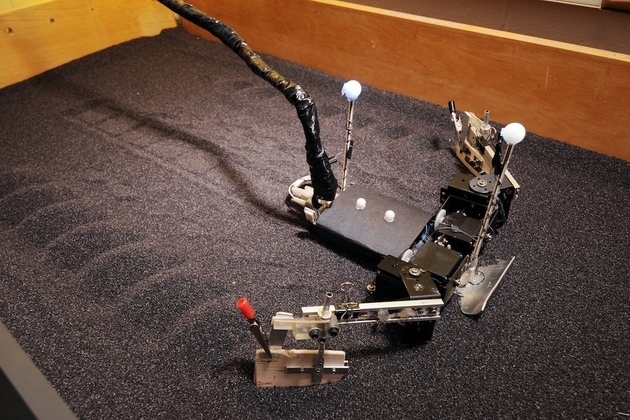 In a new study published in Bioinspiration and Biomimetics, a team of physicists and engineers out of Georgia Tech and Northwestern University shared progress on "FlipperBot," a robot designed to emulate the strategy employed by young sea turtles in order to traverse both firm terrain and sand with equal ease.